I love combining cultures, from my Jewish background and places I’ve lived. Living in Southern California for part of my adult life as yielded me many, many tacos, which I am forever grateful for. This recipe is a beautiful mashup of Jewish and Mexican foods. 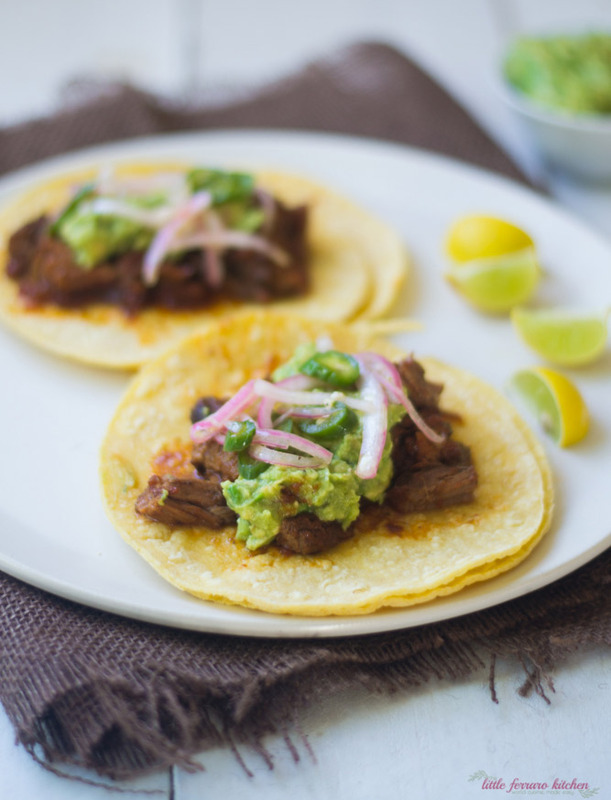 Corn tortillas are a necessity as the base because the flavors of corn tortillas can hold up to the robust proteins such as this richly flavored brisket recipe. And because we have such hearty flavors, a quick pickle to balance it all out is ideal. 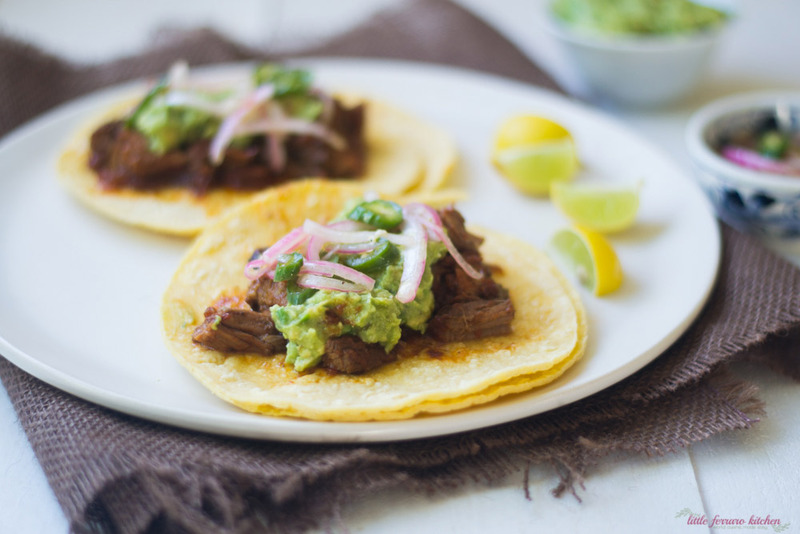 Top the slow cooker brisket tacos with avocado tahini “guacamole” as I like to call it and have yourself the most delicious savory tacos! The best part? 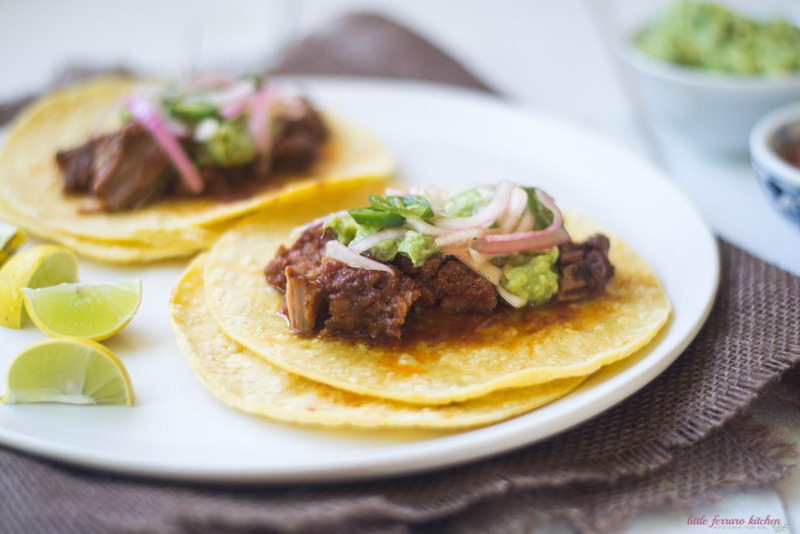 You can make the slow cooker brisket for Shabbat and save the leftovers for tacos. We all know brisket tastes better the next day anyway. To make quick pickled onions, add all ingredients to a mason jar and seal well. Shake the jar a bit to mix everything together. Then place in the refrigerator for at least 30 minutes before eating.